What are more streamlined optical devices worth to your customers? Our customers increase the number of products sold by being able to improve the design and performance of their optical devices. They’re developing accurate, hollow-center optic devices via a small, precision motor so their customers can achieve even higher resolution positioning at a lower cost. PCBMotor Hollow center motor with low building height. If so, then watch the videos below, download the white paper and evaluate our technology today! An ultrasonic, rotary piezo motor with high resolution and holding torque is available. A solution that is ideal for devices that need to integrate electronics and mechanical motion and drive smaller, more compact motors. What if the motor for your device could be produced in a fraction of the time…and cost? PCBMotor Focus unit for C-Mount Camera. Ideal for Vision systems. 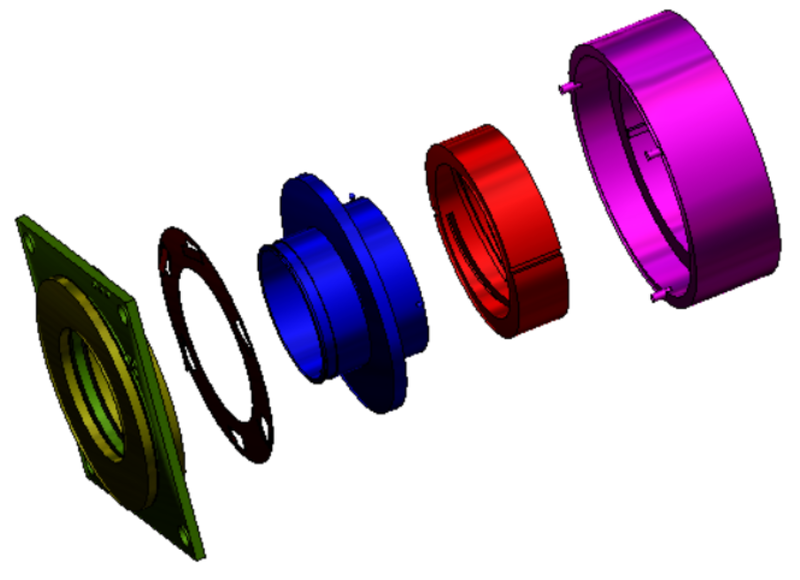 The focus unit can be made in any diameter, and the mechanical part of the focus unit can be designed in such a way that it can hold any kind of lens. Maximum focus lens diameter for a given size of a PCBMotor can be achieve when the focus unit is mounted on top of the PCBmotor. 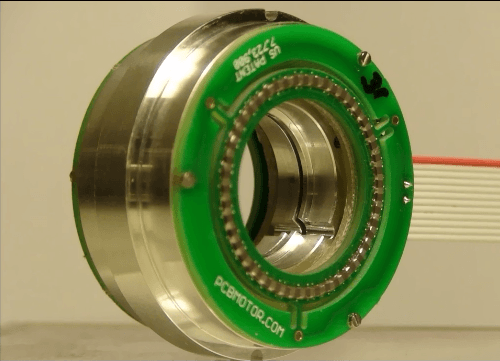 As an alternative it is possible to have the focus unit to be placed inside the hollow center in the PCBMotor which enable that the focus lens can be close to the camera chips or other optical lenses, which enables an overall lower building height.